Hello! Breaking away from ginger jars, interior design and pretty things to talk about NYC today. I get lots of people from time to time who will email me or contact me via social media wanting suggestions for places in NYC to go and visit, restaurants to dine in, hotels to stay in, shops,etc……. I regretfully do not have time to write back to each and every person as my list cannot stop at just a few things:) So thought it was long overdue to do a post on New York, as seen through my eyes. I am by no means, an “expert” and for every restaurant I like and recommend there are probably 1000 new ones that I know nothing about. However based upon what I do know and where I have been, these are my tried and true travel suggestions! I like Madison Ave between 60th and around 80th for beautiful, unique more boutique type shops, many names you know and some you won’t. 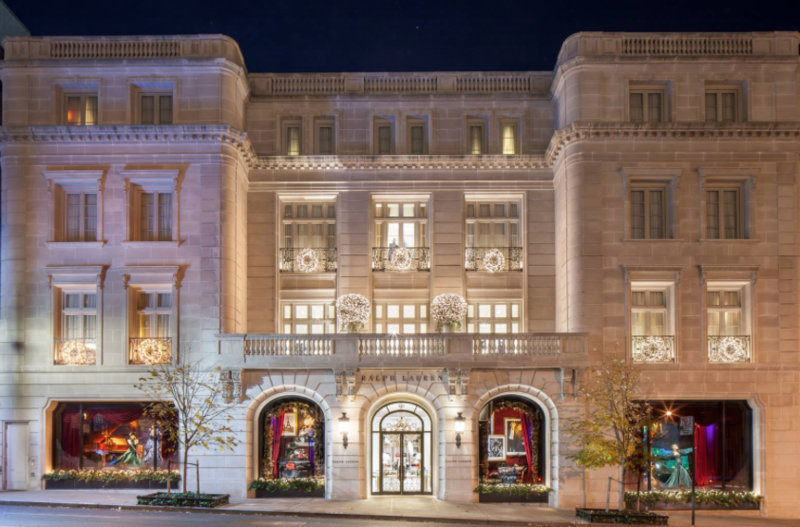 Be sure to stop in at the spectacular Ralph Lauren store, it is jaw droppingly beautiful (especially around the holidays). 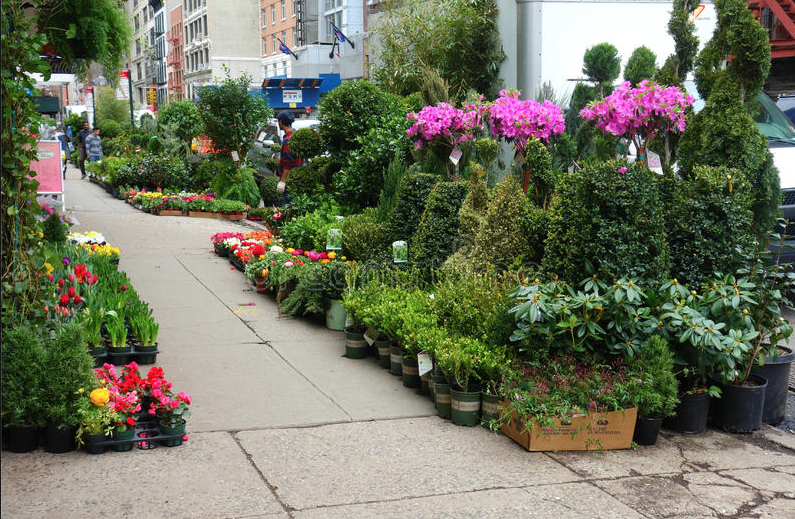 There are several wonderful small restaurants in that area alongside Madison Ave that offer outdoor seating during the warmer months and it even feels kind of “European”. A few faves are St. Ambroeus, Nello, Serafina. Then there is the textile district lined with store after store of fabrics and trimmings (could stay there all day). And how about the diamond/jewelry district- something so uniquely NY that it is worth a trip to just go and see what it’s all about. 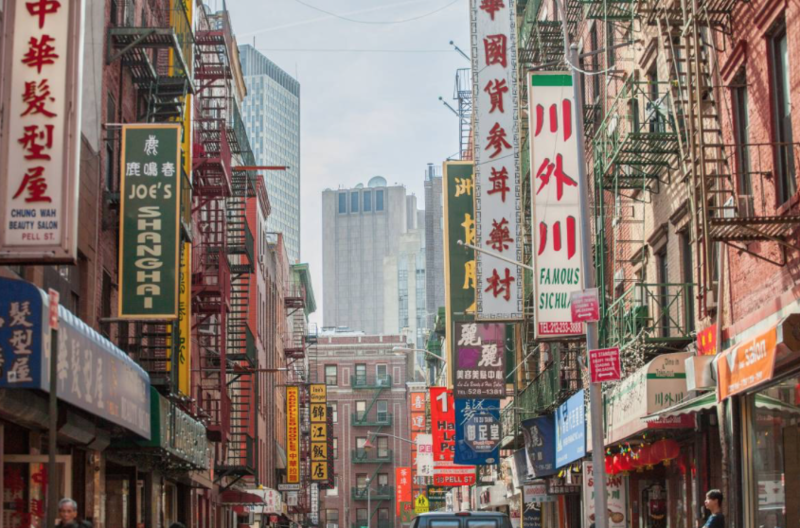 And if you are a first timer, it is kind of fascinating to venture downtown to Little Italy and Chinatown (located right next to each other). Once you are inside each of these unique communities, you will literally feel like you have been transported to China and Italy respectively. I generally do not eat down there so cannot recommend restaurants, I admit I am a serious germaphob and those areas being as congested and crowded as they are generally are not my cup of tea. But they are so much fun to walk or drive through. For Chinatown, it is a sight unlike any other to see the fish and herb markets with all the signs in Chinese. It is a pretty unique experience. Last time, we had relatives in, we just drove through each so they could get a taste of what it is like. I really like several shopping areas downtown, they have over the years become “hip” places to see and be seen. 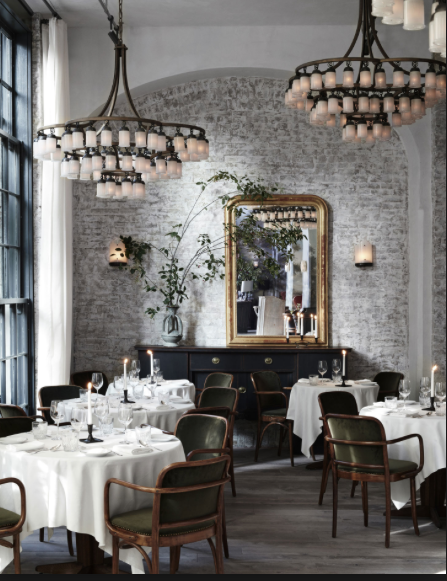 Though it feels young, it is for people of all ages and there is a plethora of amazing restaurants in Soho, East Village and the Meatpacking district. Part of the fun is just walking and taking it all in. 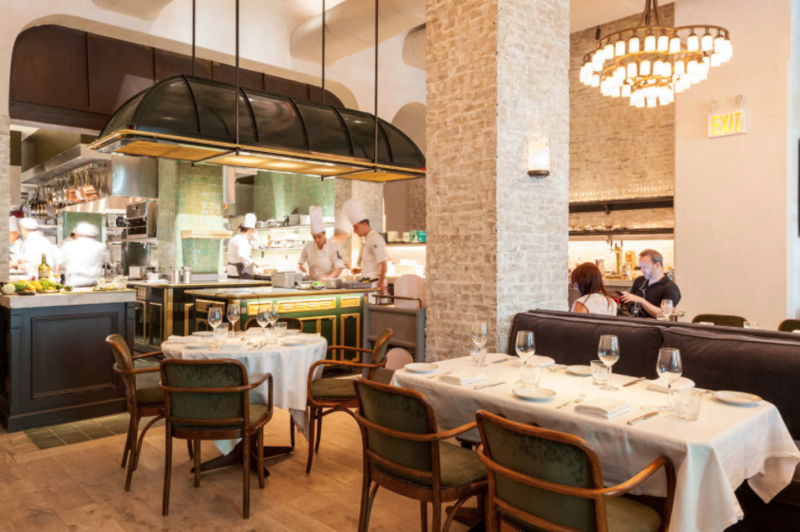 If downtown there is a beautiful “home emporium” of sorts called Roman and Williams Guild with a great little restaurant La Mercerie for lunch or dinner, definitely worth visiting. In the Union St. area there are many many more home related type shops along Broadway with one of the biggest being ABC Carpet and Home (if you go make sure to have lunch in ABC kitchen, it’s really good. Its a fun place to wander around. So if your travels find you there during lunchtime its a good stop. 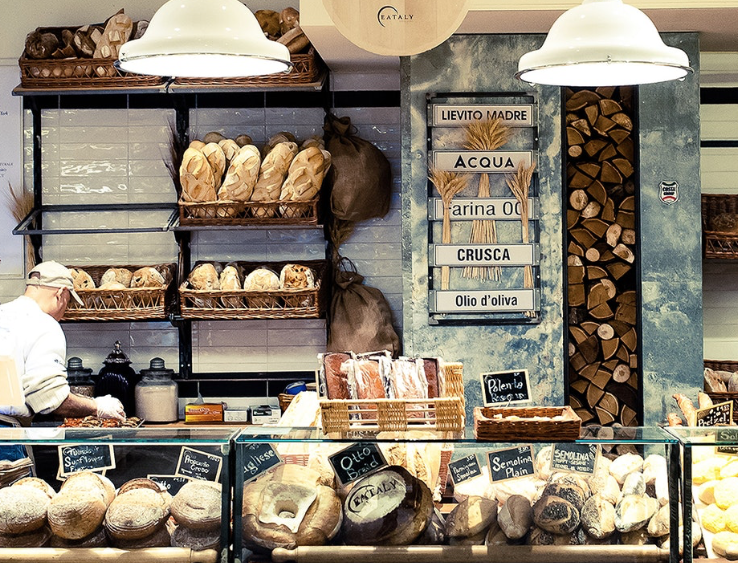 Nor far from there in the Flatiron district is Eataly which is a really fun 50,000 sq foot food emporium of sorts where you can shop for foods to your hearts content and have a great meal all under one roof. It’s a very cool place. What is a trip to NY without seeing at least one Broadway show! However don’t ask my husband who does not enjoy it one bit:) I do however love the experience of seeing a great show and try to see at least a few shows a year, more if there are lots of good ones! If you are going to see only one or two you need to see a classic- along the lines of Phantom of the Opera (an all time fave), Lion King, Wicked, Hamilton, etc…..there are also new classics like Dear Evan Hanson and The Book of Mormon. There are new ones which I am seeing in the coming months- Pretty Woman and Summer (Donna Summer musical). There are plenty of restaurants locally to have lunch or dinner in pre show. A quick but good one is Bond 45 or you can have a true dining experience at Becco, Joe Allen or if you like Sushi, Sushi of Gari 46 (very good). It is magical, chaotic, exciting and sometimes overwhelming (if you are not fond of crowds) to be in the theater district, but its loads of fun and quintessentially “New York”! 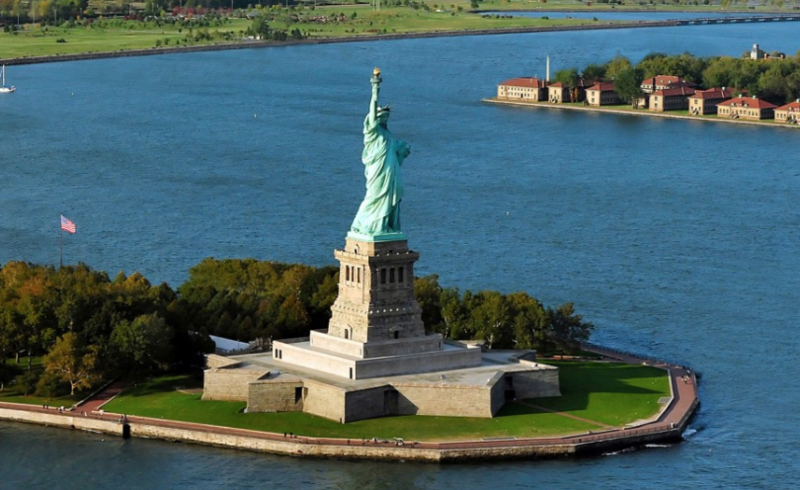 As cliche as it might sound, if you have never been, going to things like the Statue of Liberty or atop the Empire State building are a NYC must. Nothing says NYC like those monuments and not going would almost be sacrilegious. NYC is blessed to have several world class museums which I have been lucky to have visited many times, they never get old and how lucky are we to have these a stones throw away. It would be wise to check online what exhibits are being offered prior to your visit so you can plan accordingly. Really popular events or exhibits can draw large crowds so getting there early is advised for highly publicized events. 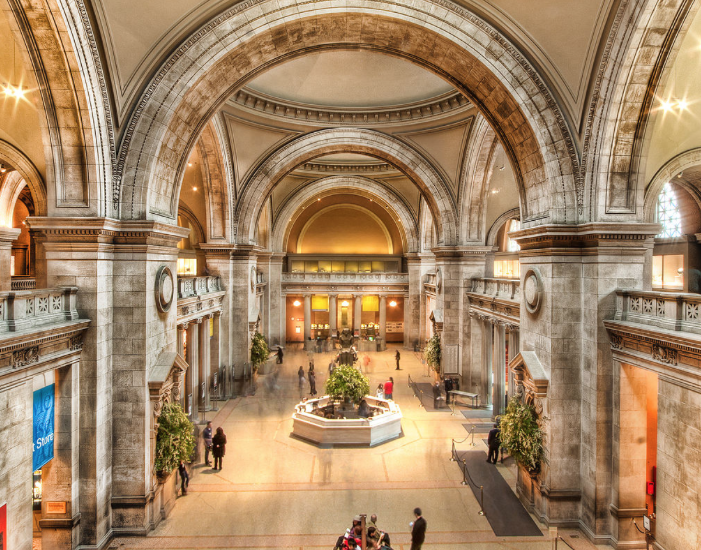 My faves are of course The Metropolitan Museum of Art, truly an incredible place that I could easily spend the day in. 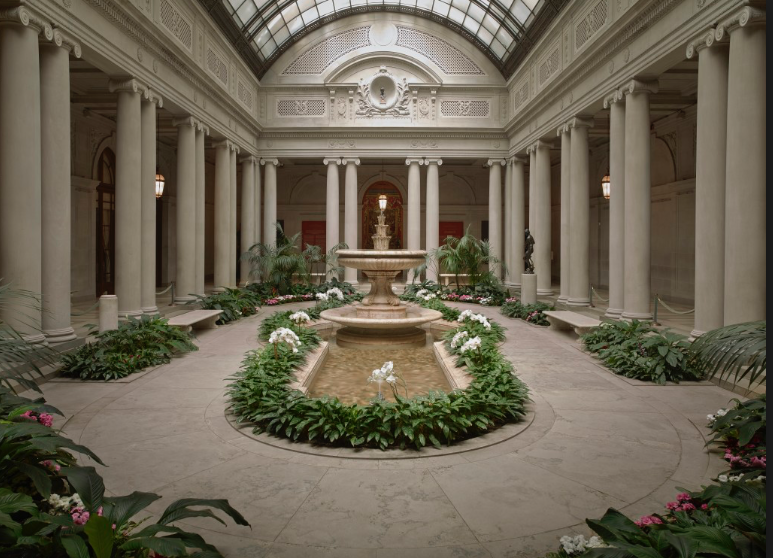 Then if you lke modern art there is Moma and a smaller more intimate museum would be The Frick, which is a wonderful art museum and very much worth the visit. Lots of old world master paintings but plenty of textiles and porcelains too. If you have children (or even if you don’t) American Museum of Natural History is fantastic and will take you to another side of the city, the Upper West Side which is such a fun neighborhood, a walk down Columbus Ave lined with shops and restaurants is a good idea either before or after. I did not know that it’s one of the largest museums in the world! 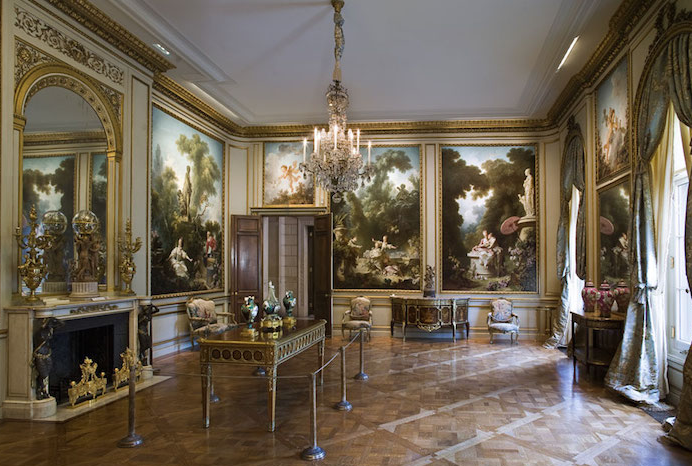 There is also a more specialized museum, the Neue Gallery where we recently attended a fundraiser, a beautiful building that is devoted exclusively to Austrian and German fine arts. NYC Is easily a four season destination. There is something magical about every season though for me summer is least desirable. It is hot and clammy and just doesn’t compare to visiting in the fall or winter when it really shines. After Thanksgiving you still have fairly mild weather but the added bonus of seeing the city turn into a holiday wonderland with all the incredible holiday decorations on full display. 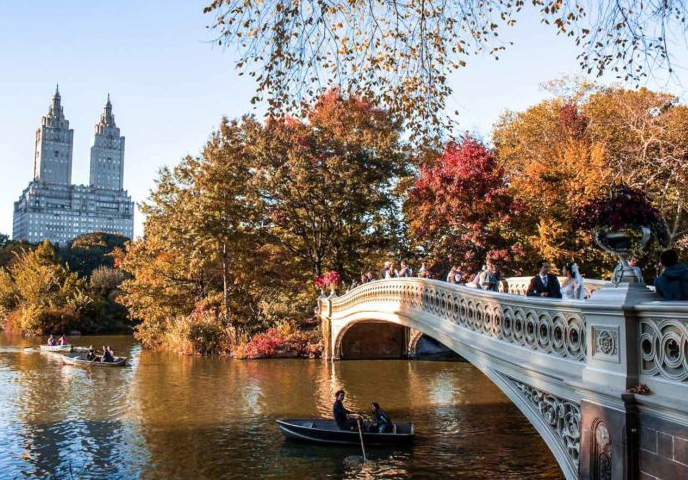 If I were visiting, I would choose early fall if you want to include the Hamptons in your travels or late fall as the optimal time to visit because of the holiday festivities that really make this city come to life in a way few cities can. There are boatloads of all kinds of tours, big group tours, bus and private coach tours, the open bus that roams around the city. And funny enough, as touristy as that open bus can be, it is a great way to get a birds eyes view of the entire city. There are many private tours that a hotel concierge will be able to connect you to as well. And there are plenty of fun, unique tours specific to special interests. As an example a cousin came to NY with her 14 year old son and his friend, they love pizza so they went on this really neat 1/2 day pizza tour where they taste tested various well know pizzerias throughout the city. He said it was one of the major highlights of his trip:) I think this was done through Scott’s Pizza tours FYI. There are art tours, architectural tours, subway graffiti tours (I kid you. not), Harlem food tours, Wall Street tours and so much more. You can google these or again your hotel concierge can help with these and make personal recommendations of tried and true reliable tour operators. It can personalize a trip to NYC specific to what you are interested in, always recommended to book these in advance. Even just writing this made me realize how much we have around us. 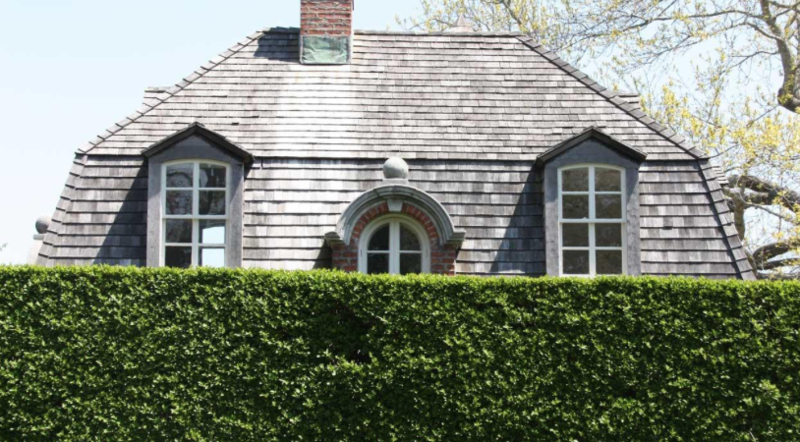 My favorite excursion and most recommended would be taking a 2+ hour trip to visit the iconic Hamptons. I would strongly suggest you rent a car and have fun exploring. East Hampton and Southampton are my faves in terms of towns to visit for the day. Sag Harbor is pretty incredible too. A few good restaurants in East Hampton would be the classic The Palm, Nick and Tonis 1770 house for fine dining and in Southampton for lunch or early dinner St. Ambroeous or Tutto II Giorno . In East Hampton if you want the best fish or lobster taco, go to Bostwicks for a casual quick bite. And “Lunch” or Lobster Roll in Amagansett for the best lobster roll in NY and possibly the best Manhattan clam chowder I have ever had. It is well worth the extra minutes to drive a bit further out east. 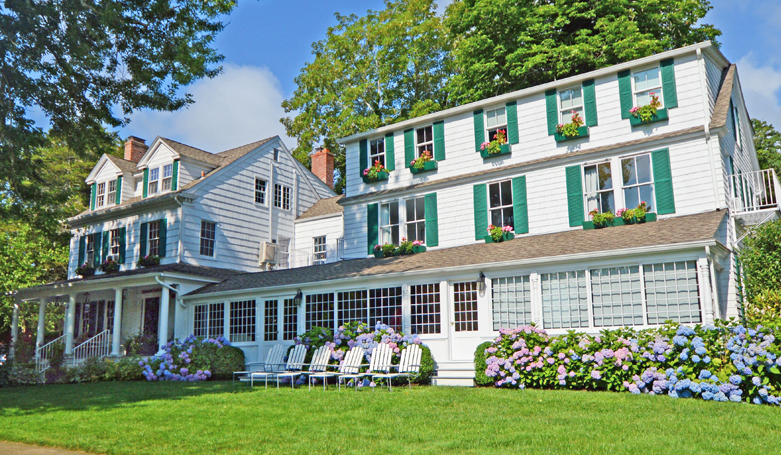 There are no “hotels” in the traditional sense but plenty of wonderful bed and breakfasts, a few would be- The Maidstone Arms and The 1770 House in East Hampton, the charming American Hotel in Sag Harbor and for a larger resort type hotel in Montauk, there is Gurneys Inn and Montauk Yacht Club. There is also the beautiful Hudson Valley which has a history uniquely it’s own. 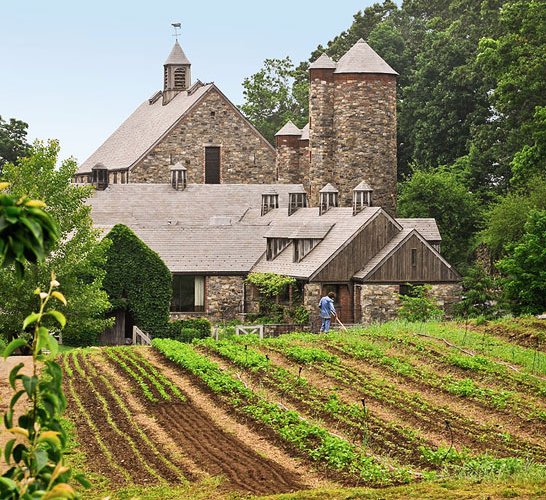 I love Blue Hill At Stone Barns for a wonderful unique dining experience (farm to table and akin to what French Laundry is to Californians). It is a working farm that has a fabulous restaurant and offers private events as well. 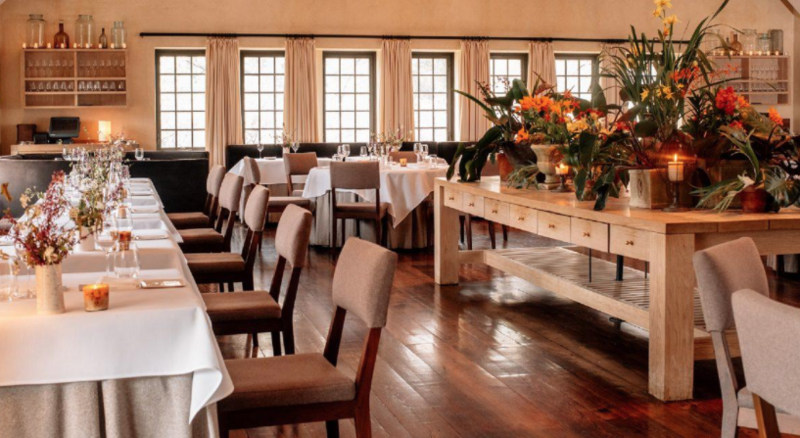 Tehy have an extensive tasting dinner menu and it is a really fantastic dining experience in a beautiful setting. Known for its farms, orchards and wineries. Also the home of the famous Hudson River Art School, this is a unique and historically rich region. Well this sure was fun putting this together. There is so much more, but I feel like this is plenty and covers most of the essentials:) Part of the magic of NYC is that you never really fully discover it all, there are always new things happening and always something to see and do 24/7. I am continuously fascinated by all the city has to offer and feel so lucky to be so close. This is most certainly not the end all/be all list but these are all tried and true favorites for a visit to NYC through my eyes. I am always on the prowl for great new shows, restaurants, shopping destinations so by all means if you have some to share please do! 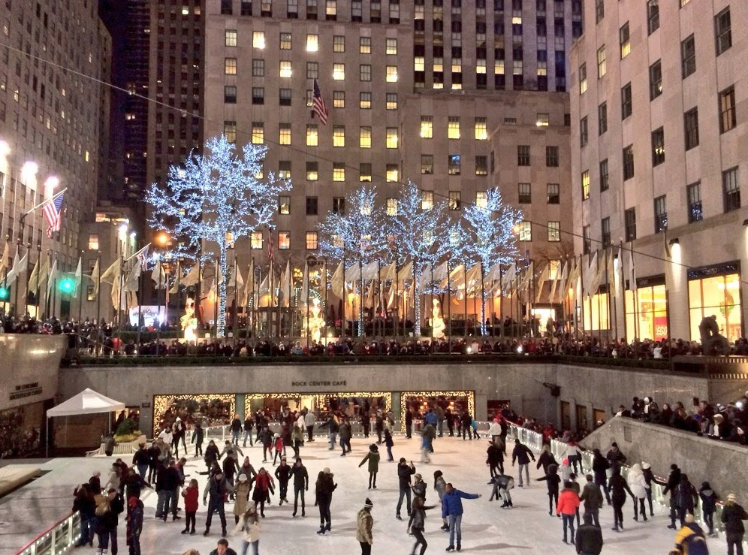 If you have been, do you have a favorite NYC memory? Some of my best memories involve being a new mom and our little family just walking on a cool fall evening block after block, stopping for dinner, window shopping…such good times! Hope you enjoyed this and hopefully this post might help someone out with a future trip to the big apple. Thanks for stopping in, wishing you a wonderful day as we gear up for the big holiday weekend. What a wonderful display of “all things New York”! Love this city In every way! 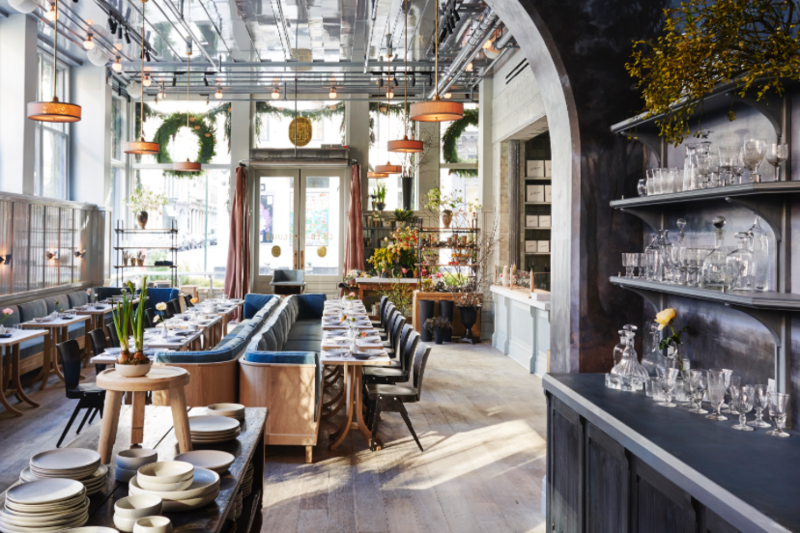 When hubby has to stay overnight in NY, have joined him at The Archer in the garment district, the in-house restaurant is very good and the rooftop bar is a must-see, facing the Empire State Building. The Peninsula Hotel high tea is a lovely treat, especially over the holidays. Held our son’s graduation reception there and highly recommend it – not the most budget-friendly option but the quality of the food and service is worth every penny. Would not eat in Chinatown without first checking out a reputable magazine guide – the last time we were in Toronto and wanted dim sum for lunch, checked out how many (well-dressed) Chinese were in the restaurant before we stood in line. Great post Tina!!! I can’t wait to go again! Thank you…K. Thank you for sharing New York City with us! We hope to visit again soon! I loved your list and as a native Jersey girl I can pop into the city in 15 minutes depending on traffic. I couldn’t agree more that the Christmas season in the city is splendid and a trip to the Tree and Radio City is a yearly must for me and all should relish in the wonder of it. I heard FAO Schwarz is reopening just in time for it this year. One other thing I wish you had included was a visit to the Jersey Shore in the summer. It’s not as chic as the Hamptons but it is beautiful and much closer. Thanks and keep the Fab coming, I love it! So very informative and appreciated. Always wanted to have best picks of NYC to enjoy from a local with good taste!!! When in my 30’s and 40’s and divorced, I would save every year to go to NYC to see a play and eat at at least one wonderful restaurant. Driving from NC to NYC and parking in my hotel garage is the most I could do . So I learned how to use the subway. I loved going to Macy’s basement and seeing all the foods I had never dreamed of and bring back something to use to broaden my own horizon. I bought my first real jewelry there, pearls that I still wear every day. Saw Phantom, Cats, Wiz! and many more. Visited on Thanksgiving to see the parade. Brought my daughter to see Annie, and the NYC sights. I would not change one thing and if I could have one thing it would be the pastrami sandwich from the New York Deli. Great experience for my young daughter. I live on the North Shore of Long Island and very rarely go into NYC. After seeing this post I must go. Also, the North Fork of Long Island is a beautiful area to explore. Farms, vineyard, breweries abound. Greenport is a fun place to visit. Take the North Ferry from Greenport to Shelter Island (cars & walk-on) to explore Shelter Island. Take the South Ferry from Shelter Island to North Haven. Explore Sag Harbor. Great post! I love the Carlyle. Also, the Iroquois. There’s nowhere in the world like New York! Thank you so much for all that great information Tina. That took a lot of time and I’m sure it was hard for you to decide when considering your selections. We haven’t been to New York in so long but you have inspired to start planning a trip in the near future. Thank you Tina. That took some time to compose. I appreciate the work you put into this! Thanks for this great NYC guide! 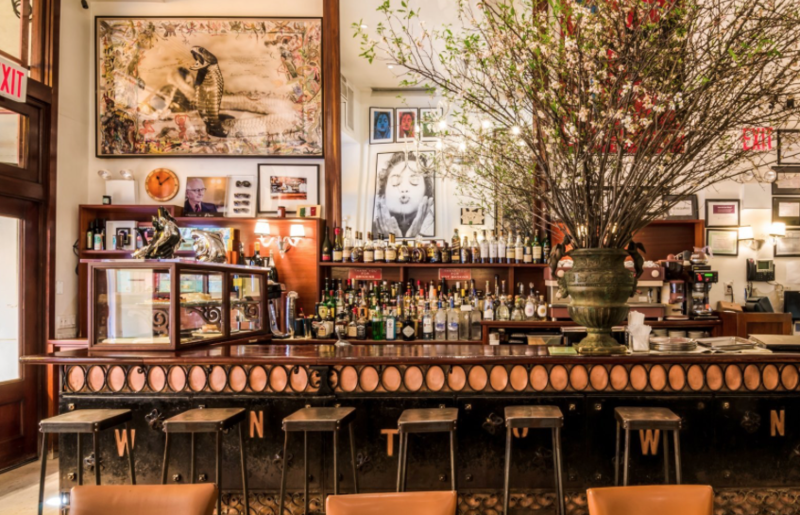 One of our favorite restaurants is Bella Blu on the Upper East Side. So glad you included ABC!! What a wonderful travel post! I used to live in Darien, Connecticut and visited NYC often. Now being across the country, I don’t get there as frequently, but your post has inspired me to think about another trip soon. Thank you for sharing! I love visiting NYC! My daughters and I were there for Halloween 2017 and had a fabulous time! We will be returning in December for another fun girls’ trip. I also love the Hamptons and wish I could afford to be there every summer! Hi Tina, what a fantastic, comprehensive guide. I used to go to NYC 5 times a year for business, but lately only go for fun. Over the years I’ve enjoyed many of the places you mention but there remain many I still long to experience. We will be in New York in April and I plan to use your list as my planning guide. It could not have come at a more opportune time. Thank you! I’m getting excited to experience NY once again. THIS IS SO WONDERFUL! THANK YOU FOR A GREAT TRIP. LOVED EVERY MINUTE! YOU ARE AN EXTRAORDINARY GUIDE!! Thank you for the remarkable New York post! It is a breath of fresh air on this hot & tremendously humid August morning in Texas. 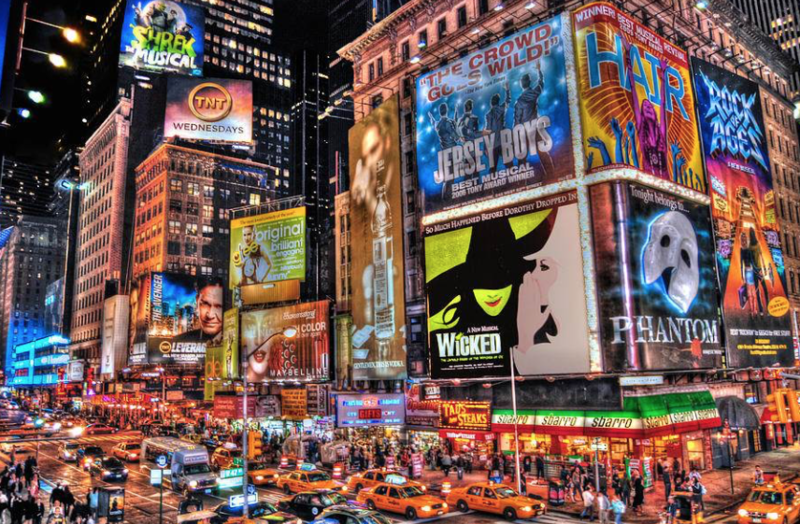 I love the theatre, shopping, and restaurants in New York City. I truly love going during the Christmas Holiday season; it is truly magical! The summer is really hot and I prefer the Fall and Christmas season. But it is wonderful! ever had was at Decoy in Greenwich Village ! Enjoy! Tina, thanks again for so much of your time sharing and posting all of this. I will be in NYC next month and will definitely dine at some of these restaurants! Now, the hard part which too choose! So awesome. My niece and her husband lived by the Brooklyn Bridge in a beautiful highrise for a few years for their work. They loved it. They were then transferred to San Francisco, tough duty I know! They were so homesick for NYC for the longest time but have now said they are weather snobs living in San Francisco. Seeing your post makes me want to schedule a trip with her as I know she would love to visit any of these places in your wonderful post. I would love to do the side trip to the Hamptons. It looks so beautiful. Sometimes we forget how awesome and beautiful our country is. Thanks for all the great information, Tina! FYI It’s the Museum of Natural History, not the Natural Museum of History. Thank you Tina, what a great post. 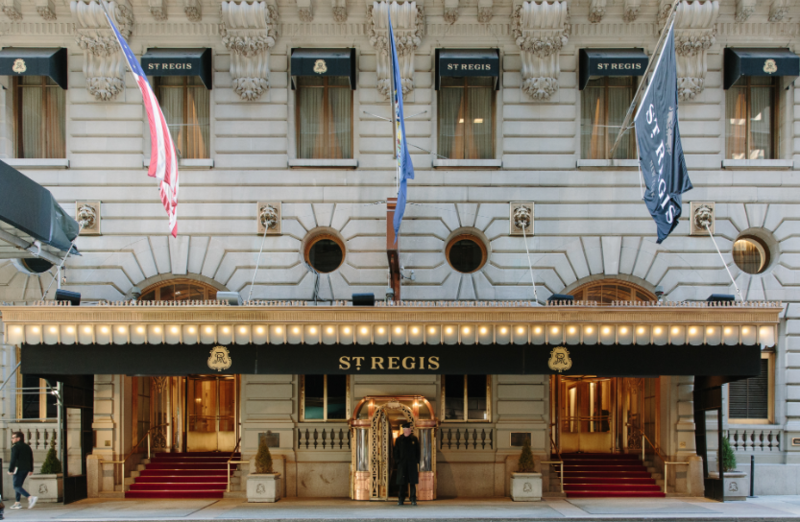 I love the St. Regis and the King Cole Bar,(hope that is the name). Love the story on the Mural in the bar . Thank you for the insight! I am sharing with family that is going to visit NYC from Texas in September and some in December to Madison Sq gardens for the Texas Tech Basketball game! Tina this was amazing!! Used to live in NYC and went to Columbia for hard school- met my husband there. We now live in Pasadena but still miss NYC. I try to get back once a year or so as I have many friends there. 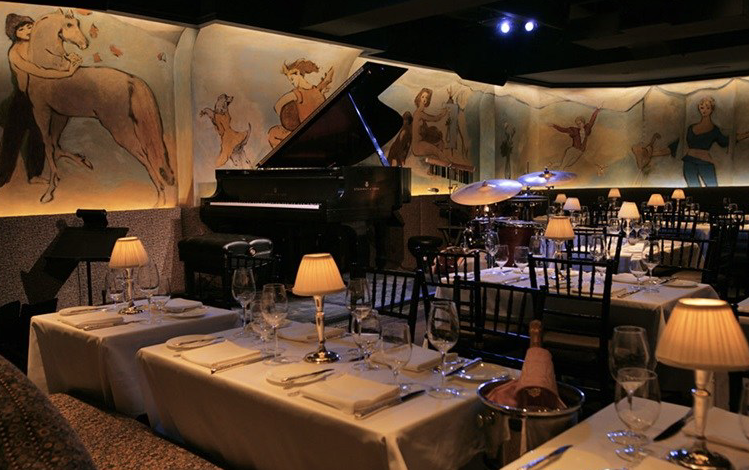 I love Gotham Bar and Grill, to me that is a iconic NYC restaurant and agree nothing beats the holiday period in NYC! You made me laugh when you said that about walking through Central Park pretending to be in a movie…it really is a special place and will always hold a piece of my heart. As a frequent traveler to NY (6-10 times a year) this was a wonderful compilation of things to do and places to see. As someone in the food/restaurant business I can tell you that your restaurant list was on point and reflects that you appreciate good food! Oh my gosh!! You are the best! Thank you so much! Your New York is just what we wanted and off to the Hamptons we go!! Truly appreciate your time in putting this together. What a WONDERFUL tour guide for your New York! Thank you so much for all these truly terrific ideas!! buying the many items on your site!! Tina this is so great! How did you. know we are going to NY in January to visit my daughter who just started medical school at NYU. This will only be my second time and being my husband is a foodie, we are most definitely going to work off your list. 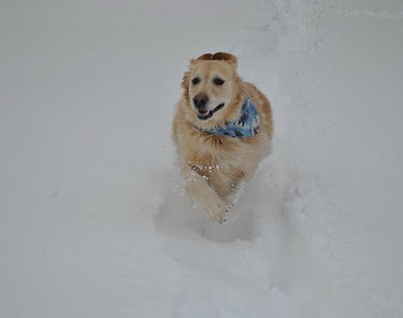 I would love to visit the Hamptons but I am sure Jan is not the best time, it must be covered in snow. I love that you did this- so informative based upon experience and truth vs so many guides which are based upon kickbacks from various establishments. 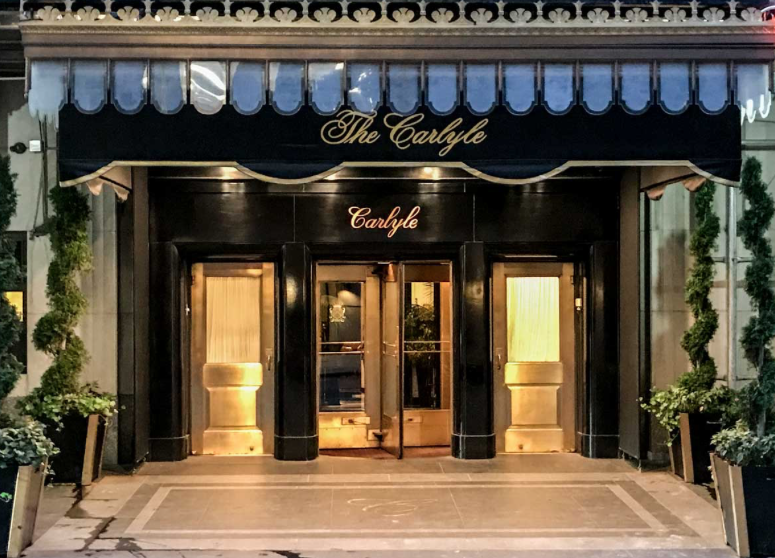 We are going to stay at the St. Regis which is where we stayed last time and loved it but would like to try the Carlyle again one visit too! 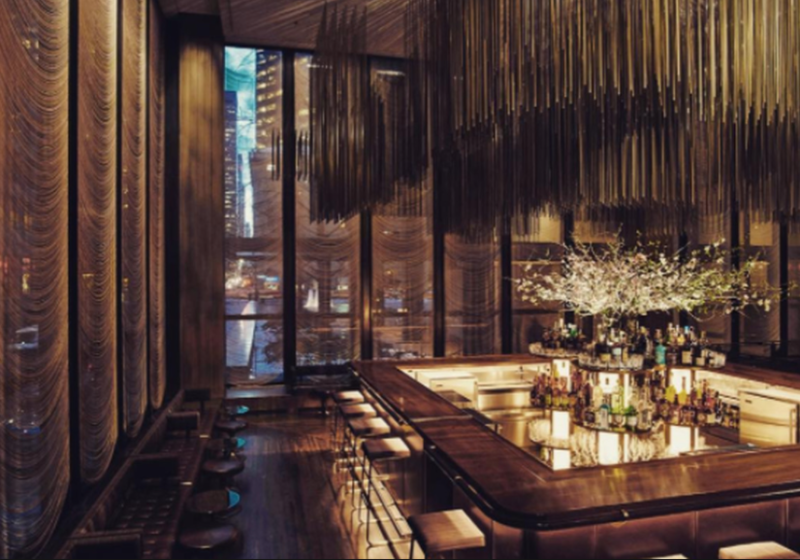 What a wonderful selection of NYC hot spots to try! I have been there often but I think you managed to select a great overview! I want to be there right now!! Half the fun is discovering something new….and often the most talked about places of the moment tend to disappoint and something wonderful is right in front of your nose. Have to keep your eyes open! Thanks so much…..I’m saving this! That was a great post Tina! We travelled from Australia this time last year and visited lots of those wonderful places you mentioned. I only wish I had known of that Ralph Lauren store.! All the Broadway shows on offer were a wonderful treat, we saw 3 during our week in New York. I agree Central park is like a movie set. One day I hope to come back and do a trip to the Hamptons and visit those places you mentioned. Thank you for this wonderful guide! it covers Everthing. My son owns a home in The Hamptons and we just returned from a visit. Ate at all of the places you mentioned- Nick and Toni’s is my favorite. There is a beautiful restaurant at Gurney’s as well. Oh, for anyone wanting to see a broadway play, go on Broadwaybox.com . They always have heavily discounted tickets to many of the shows, (not the super new hot shows, but many, many others).